ESMA is an autonomous EU Authority that is charged with the responsibility of safeguarding the stability of the financial system of the European Union improving the enhancing the protection of investors and enhancing stability and orderliness of the financial markets. ESMA was founded following the recommendations of the 2009 de Larosière report which proposed establishing a European System of Financial Supervision (ESFS) to act as a decentralised network. It became operational on the first of January 2011 and substituted the Committee of European Securities Regulators (CESR). The organization was mandated with three main objectives which include protecting investors, ensuring an orderly market and ensuring financial stability. CFDs and the new ESMA regulation. The consequences of the ESMA CFD Regulations. What type of broker will be the hardest hit? ESMA Impact on market makers? ESMA Impact for STP brokers? ESMA Regulations – Good vs Bad. Forex Brokers to Avoid ESMA. The aim of assessing risks to investors, markets and financial stability are to discover upcoming trends, risks and exposures, and when required potential opportunities, in a suitable manner to make it possible for them to be acted upon. To ensure a uniform treatment of investors across the European Union, allowing an adequate level of protection of investors via effective regulation and supervision. To enhance equitable competition environment for financial service providers, and also ensure the effectiveness and cost efficiency of supervision for companies that are being supervised. Supervisory convergence aims to constantly implement and apply the same rules with the use of various approach using similar approaches across the 28 Member States. The reason for promoting supervisory convergence is to guarantee a level playing ground of high-quality regulation and supervision devoid of regulatory arbitrage or a great divergence between the Member States. The constant implementation and rules application guarantees that the safety of the financial system safeguards investors and ensures maintenance of order in the markets. ESMA is the direct supervisor of particular financial organizations like the: Credit Rating Agencies (CRAs) and Trade Repositories (TRs). These organizations make up a significant part of the market’s infrastructure of the EU. In addition to its proposal for supervisory convergence amongst securities regulators, its focus is also to do so across other financial sectors by working together with the other European Supervisory Authorities in the banking field (EBA), and insurance and occupational pensions (EIOPA). ESMA strengthens supervisory convergence among international communities and where it is permitted in the European law, ESMA carries out the supervision of specific organizations within the EU. Although ESMA is a standalone organization, it is fully accountable to the European Parliament. It regularly makes an appearance before the Economic and Monetary Affairs Committee (ECON) to make a formal report. The organization is also fully accountable to the Council of the European Union and European Commission and is this expected to make a report of its operations at meetings but also through an Annual Report. 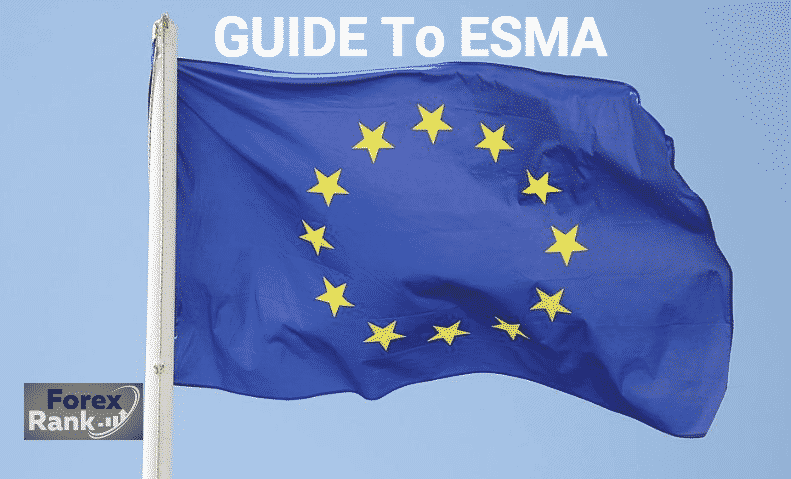 The ESMA latest regulations greatly focus on Binary Options and CFD trading (both those that are regulated and those that are not regulated within the EU. The European Securities and Markets Authority (ESMA) of late proposed a series of regulations and restrictions for CFD and Binary Options providers. These ESMA new regulations have generated a lot of arguments and oppositions within the industry. However, some see the new regulation as a welcomed and long-awaited development. Binary option is as well referred to as an assets-or-nothing option. It provides a fixed compensation when the option is “in the money” upon expiration or nothing at all if it expires “out of the money”. Another difference is that binary option is automatically exercised. This implies that the investor doesn’t have a choice of either buying or selling on the underlying asset at the expiration of the contract. This form of trading gain extra popularity because of its simplicity – a basic “Yes” or “No” choice was the only thing the individual requires to trade. CFDs are referred to as contracts for difference. Basically, it means a contract between the broker and client which exchanges the difference between the price at the start of the contract and the price at its end and it is fulfilled in physical funds. The main appeal of this trading instrument is the opportunity to trade with leverage. Leverage reduction is inadvertently the main purpose of the new ESMA regulation. The issue is that a minimal market can result in huge losses when using leverage to trade. Leverage enables traders to trade with a ration of the amount of money higher than what they have in their account. It can work to your favor or against you. Invariably, it boosts your gains and can also boost and magnify your losses when the trade move against you. It is better suited for advanced traders and can result in huge losses when used carelessly. The new regulation proposal made by the European Securities and Markets Authority (ESMA) came as a shock to the forex trading community. The leverage restrictions would make a great impact on how top brokers in Europe brokers like Tickmill, FxPro, Dukascopy and Saxo Bank carry out their business operations. The new regulation mandate is a reduction of maximum leverage offered by these brokers for major currency pairs from 1:200 to 1:30. The maximum leverage for trading other CFDs like indices and gold are reduced 1:20. Maximum leverage for other commodities and non- major indices are placed at 1:10. Shares is placed at 1:5. The leverage on cryptocurrencies suffers the most impact. It is capped at 2:1. The new regulation proposal also mandates brokers to provide negative account protection, which ensures that traders lose not more than the amount of money they have in their trading account. This avoids the disaster that occurred during the 2015 Swiss Franc repeating itself. The last proposal of the new regulation is a total ban on bonuses and other incentives that may lure traders to overtrade. Brokers are also required to state clearly in their marketing message, the percentage of their clients that lose money. The news makes many traders fear that the regulation will increase the cost of trades as the brokers may introduce forex commissions to make up for their losses. The ESMA CFD regulations will no doubt have a great impact on retail traders who frequently trade with high leverages. A retail trader who previously trades with $5 at a leverage value of 200:1 leverage can make a trade of roughly 1000 USD while after the regulation he would only be able to open a maximum position of $150 worth of USD. It greatly minimizes the trader’s loss and makes the trading environment less favorable for predatory brokers that benefit from the loss of these traders. Thus the regulation although it is not a popular one now would eliminate out of the industry the dubious activities of brokers whose operations are not transparent and those of them who exploit their traders. What type of broker will be hit the hardest and most affected by the regulations? The new regulation will have a greater effect on smaller brokers and or brokers that were not very legitimate in the first place. They may find it difficult to remain in business as soon as the regulations take effect. The brokers that are most likely to be affected most by the new regulation are the ‘market makers’. This is because these brokers are basically more reliant on direct marketing, trading incentives, and most significantly they make money through their client’s loses. Often, they do so by offering retail traders higher leverage which invariably makes them lose all the money in their trading account. Trading with higher leverage invariably makes a retail trader lose all the money in his or her account. It is better to trade with lower leverage and that is why institutional investors frequently make use of it. With the low leverage restriction that the ESMA is proposing, the implication is that a trader who previous trade with $500 will have to open a $5000 to make a meaningful trade. Straight-Through Processing (STP) brokers do not rely in any way on their client’s losses to make money. They make their profits based on commissions. The more the trader opens a trade, the more commission the broker will have. Thus, these brokers will do so much to help their clients gain. This would enable the traders to make more trades which would mean more commissions for these brokers. Such brokers are typically more inclined to provide their clients with added value tools that can drive a mediocre trader closer to success. The ESMA’s new regulations are going to have an impact on such companies in two major ways. The first one is trading volumes. Granted, broker trading volumes will register a decline; due to the leverage restrictions although a low leverage of 1:25 in Japan hasn’t affected the volumes of trades. The second effect on these brokers would be on the capital requirements. The FCA means that all STP would have to apply for a 730.000 euro ($900.000) license and work hard to meet the corresponding capital requirements. In the end, the regulation would make the brokers, whether market makers or STP/ECN lose some of their retail traders especially those of them that trade with high leverage. Despite that there are oppositions to the new ESMA proposal; many well-established veterans of the CFD and Forex industry think it is a great move. A few of them are now providing an innovative way to trade as an alternative while still complying with the new regulations. This has given forex brokers incentives to only attract the best type of traders and not just any trader. This will improve the standard of practice in the industry. To last in the industry, brokers must, therefore, make every effort to attract only the best type of traders. They must also be able to educate their clients on how to profit better from traders which not many brokers are currently doing. The new European Securities and Markets Authority (ESMA) rules will increase minimum margins on all CFDs and possible increase spread offered by brokers. Also, ESMA new rule placed a ban on the marketing, delivery and sale of binary options to retail investors. Since the UK is still part of the EU, the law also affects all the traders and brokers in the UK. The leverage restrictions will lead to a boost in margins across all financial markets. According to IG Index, traders that currently deposit $611 as margin to trade 1 EUR/USD lot would have to deposit as much as $4073 to trade. The Good – No doubt, there are a lot of benefits that the new regulation would bring like the negative balance protection and the law that is meant to put a stop to the unethical promises and advertisements of the Binary Options brokers. However, some of the proposals like the leverage cut will make a lot of negative impact on traders at least in the long run. Although the leverage cut may seem positive and a way to save traders from losing their money. If a trader is only allowed an exposure that is 5 times the size his trading cash, the implication is that he or she is only risking 5% compared to 100 per cent he would lose with a leverage of 1:100. 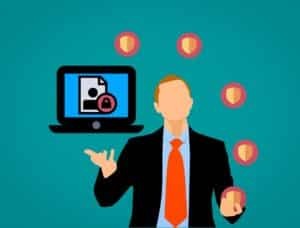 The Bad – Agreed, the regulators are making traders safer but on the other hand, they are also removing average traders with a small or medium-sized account from being able to make use of potentially lucrative trading tools. Some traders would have no option than to deposit more money and this means if they are only allowed 5:1 leverage, they would be required to deposit an amount of money 20 times the ones they use originally to gain the same exposure as trading with a leverage of 100:1 leverage. 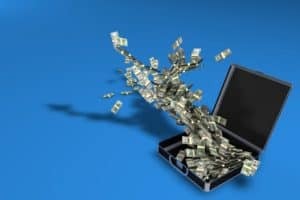 Speculators and gamblers who want to win big would want to make a bigger deposit if it means having to borrow the funds. This, in the end, put them under a greater risk. Again, because many retail traders make use of short positions in equity CFDs to hedge their shares portfolios, the proposed 5:1 leverage limit will efficiently make their risk management strategy out of reach. You can deposit more money into your account to make up with the increased margin. Nevertheless, depending on what your trading size and style are, you may be required to deposit more funds that you may want. Although, you could stake lower money but chances are you don’t want to go that route! Pepperstone and a few other brokers permit you to go “professional” – but you ought to be eligible to do that. You also need to have a considerable amount of assets and experience. You can also stop trading entirely but this is not a great idea if you are trading forex to make some extra money and if you have been successful as a trader. The next thing you can do is to start trading with a broker that is not under the ESMA regulations. However, you must be conscious of the broker you choose. There are many disreputable brokers which include those that deal in Binary options that are registered in Cyprus or Belize for example. You should never risk your funds with these brokers. There are a few other reputable brokers like IC Markets, based in Australia under ASIC regulation which may serve as alternative brokers for traders in the EU. With ASIC regulated brokers like IC markets, you’ll ensure that your account enjoys the protection it needs related to the one you would get from the FCA. The new leverage restrictions will change the face of the European forex industry. However, it will bring some challenges to traders and broker’s profitability. It could even result in the closure or merger of some brokers who will not be able to meet up with the demand of the new regulation. The mistakes of a few brokers have had an impact on others, but brokers may find it difficult to circumvent these new rules. There have been a lot of unregulated brokers in the Forex, binary options and CFD trading industry but the new regulatory environment that will evolve as a result of this new regulation will alter and improve things in the industry. Whilst the new regulation is a big blow for brokers, many careful traders will gain more confidence knowing that they now have better protection. It will also eliminate the activities of scam brokers particularly those offering idealistic leverage on crypto CFDs. The new regulation will position brokers to re-estimate the marketing expenses. They would need to re-direct such funds for the creation of contents like video, PR, SEO based articles and native advertising. They would need to develop a new strategy to be able to attract high-value traders with lower leverage. To survive beyond the take-off of this regulation, brokers would have to engage in a more intelligent marketing.